There is also ford to the north side of the fort where my father was involved in a river engineering scheme. The fort is accessible from the other side of the river, and I hve been there often. There may have been some re-use of the stone at a Roman fort somewhere on castle hill, in Kendal, and there are lumpy ground shapes on the crest of that hill near the castle which may be buried buildings. The castle dairy in Wildman St is built over an old Roman road. There is also Paddy Lane, a Roman road that passes close to the old British settlement on Helm, later known as "coney beds" Supposedly there is a walled Roman graveyard up there. Helm is across the Road from the Station Inn, by Paddy Lane and the road to Sedbergh. 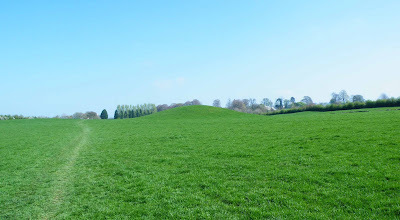 I lived on Riverbank rd from 1967 to 1974 & was fascinated by the mound in the field but not knowing why it was there.It wasn't until the internet came about that I started to investigate the site. Being a fan of Time Team & the Roman military I was delighted to learn it was an auxillary fort. Even more pleased when we went on one of our many visits to Kendal & saw what they had found in the museum. I would like to walk the field but I believe this isn't possible, my contact email is ian.armistead0@gmail.com for further correspondence.